Interesting that they took their original preferred concept of a bike lane between the bump-out and tracks/roadway, and replaced it with a raised bike lane between the bump-out and tracks/roadway. 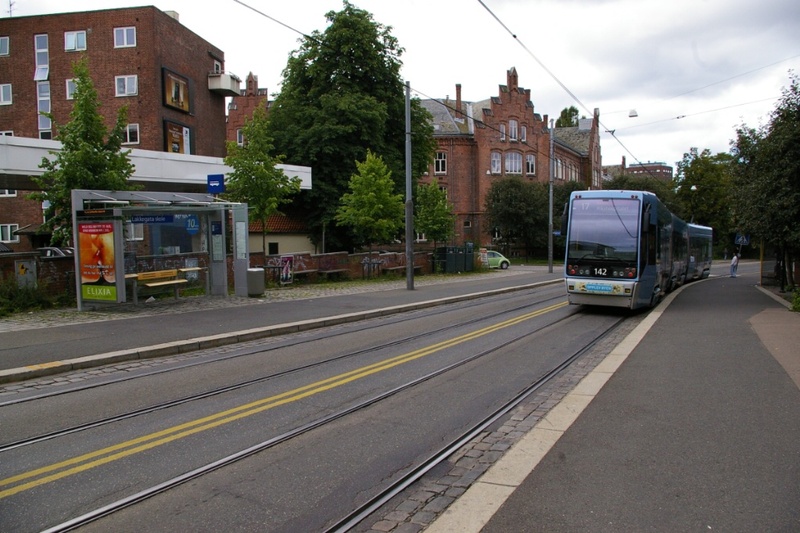 May work, we’ll see if bicyclists actually stop to let transit users to board or disembark from the streetcar/LRT. Some don’t now, but hopefully the ramp up will remind them they have to stop for pedestrians. Don’t want to resort to signs, but maybe green-tinted concrete (not painted) may help. It’s nice to see that merchants on Roncesvalles are generally favourable to (gasp) reducing parking in the name of better transit access! It’s a great contrast to St. Clair, where narrow-minded merchants prefer street parking to wider sidewalks. 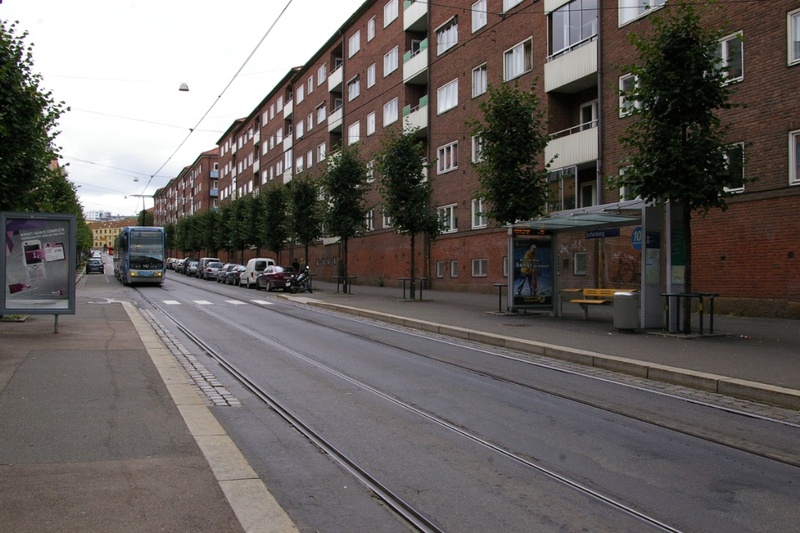 At the risk of making Oslo seem hackneyed, I will mention them in this thread as one of their tram routes, 17, travels up a road named Trondheimsveien for about 2 kilometres in a way that is not unlike what is proposed for Roncesvalles. This is a four lane road where the curb lanes are mainly used for parking and at the three stops along this part of the route (plus the northbound stop at the north end), there are curb bump-outs.